Nagen learns Salesforce, gets a developer job, and earns 5 certs in 1 year! David’s note: People always ask “can I really change careers and get a Salesforce developer job?” WELL YES YOU CAN! Nagen did it and so can YOU! By the way, he also got five certifications in the process too! Be like Nagen and take matters into your own hands, cheers buddy! It’s been exactly 1 year. It’s been exactly 1 year since I officially started my career as a Salesforce Developer. I’m not like most people who reach out to you. I started my career in the IT industry. The kind of work I did for the first few years was of absolutely no value. Yes, I had a job, but I was never really writing code (in an IT company !). It bothered me every day that I was missing out on what I could bring to the table as a developer. After a few failed attempts at getting a developer role in my company, I decided to take matters into my own hands. Salesforce came as a natural choice, because I had already worked in the CRM domain, and it would give me the opportunity to code. I spent around 6 months learning as much as I could about Salesforce. There are many websites/blogs out there on Salesforce, many written by MVPs, but most are very technical and wouldn’t make much sense to someone who’s just started. Then, there’s SFDC99. It was the perfect tutorial. The clean look and simple language, made me feel like I wasn’t too dumb to learn Salesforce. After some time, I got a job at Salesforce.com Support. 6 months later, I was hired by a tiny startup looking for Salesforce developers. I finally get to write code. Wouldn’t say that I’m excellent at it, but it feels like a natural extension of my capability. I cannot thank you enough for starting SFDC99. Great story Nagen . Wish you all the best for challenges lying ahead. Great story Nagen! I am just starting out to learn salesforce. Currently I am in the same shoes as you were a year ago. I am working at a big IT company now but not doing software development work. 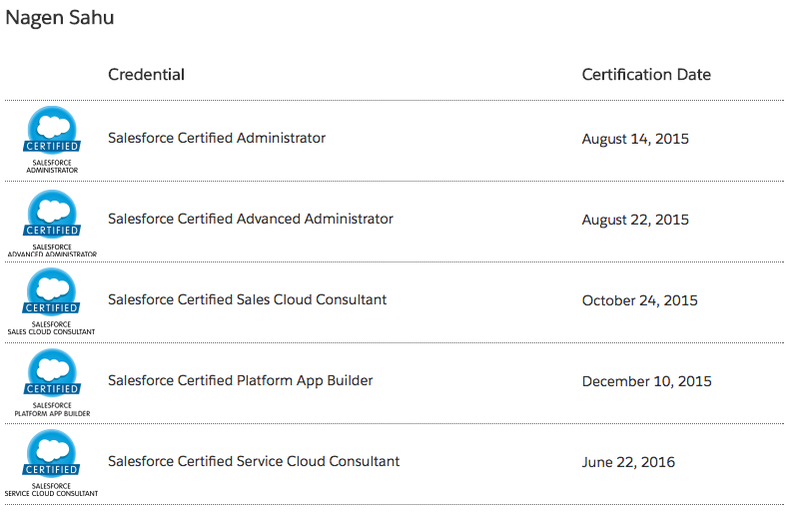 Hope I can transition into a competent salesforce developer by next summer. Congratulations ! Great story, good luck.